A&W Roofing uses only high-quality asphalt roofing shingles in a wide variety of styles and colors for residential applications. 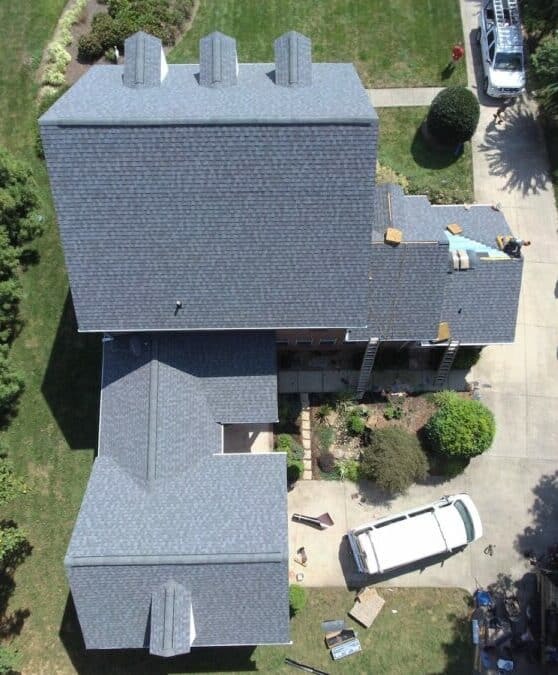 Asphalt roofing shingles are the most commonly used residential roofing products in the market. Underlayments – Designed for use on residential roof decks as a water-resistant layer beneath roofing shingles. 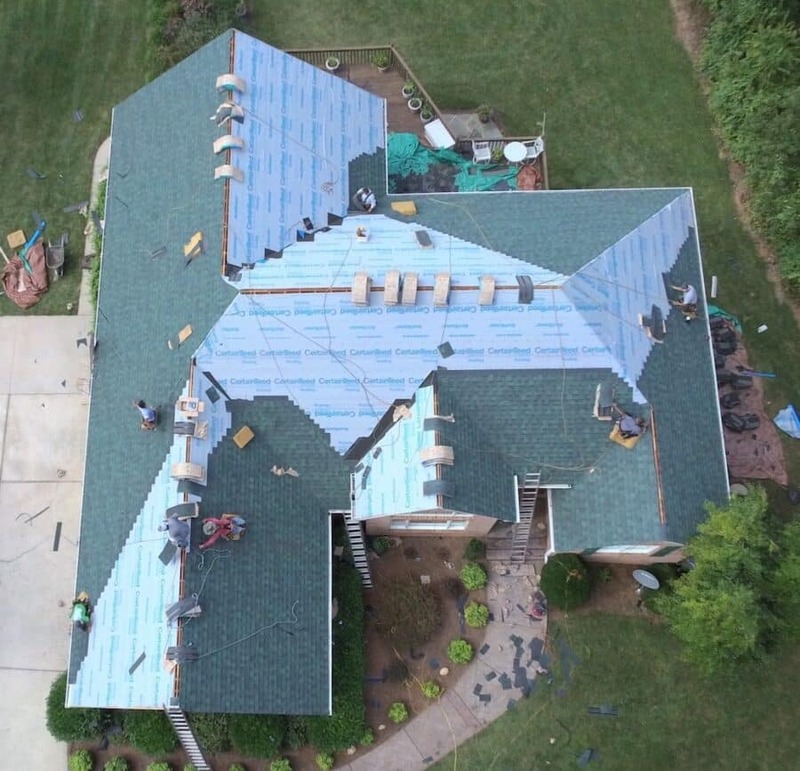 Hip and Ridge shingles – Used to finish the hips and ridges of a residential roof and carry the same warranty as the shingles they are applied over. Proper attic ventilation system – Allows a continuous flow of outside air through the attic which creates cooler attics in the summer and drier attics in the winter. Starter shingles – Saves application time. They are designed to work specifically with different styles of shingles for consistent appearance and performance. Also known as architectural or laminate shingles, dimensional shingles are the most prevalent asphalt shingles. These products are manufactured with two or more layers of asphalt that are fused together for a thicker and richer multi-dimensional appearance, and are engineered to replicate the wood shake and natural slate roofing aesthetics. Dimensional shingles are typically heavier than strip shingles, and have improved warranty protection. CertainTeed’s Landmark® shingles are a prototypical design for a dimensional roofing shingle. Luxury shingles are the highest-quality laminated shingles available, offering a differentiated appearance or functionality that outclasses that of dimensional shingles. Apart from being shingle ‘heavyweights’ that offer premium protection for weathering, luxury shingles are stunning to look upon, presenting the highest quality, coloration, and dimensionality. These products offer the most realistic representation of the old-world wood shake and quarried slate roofing. CertainTeed’s Grand Manor®, Carriage House®, and Arcadia Shake® products are prime examples of Luxury roofing shingles.